Hi there SCT cut file fans! Nicole here again for another fabulous, fun FALL free cut file! (say that 5 times fast!) Yes, that cold hint of weather has hit us here in Canada already, and so I was inspired to create a fall themed cut file for this month. 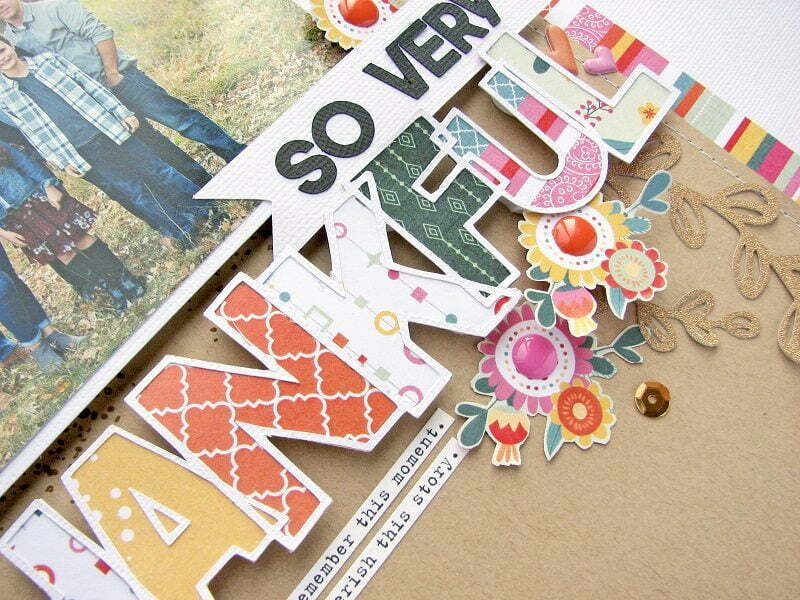 I used this page to create a big and bold title on my project, using the Paprika collection by Photoplay Paper. 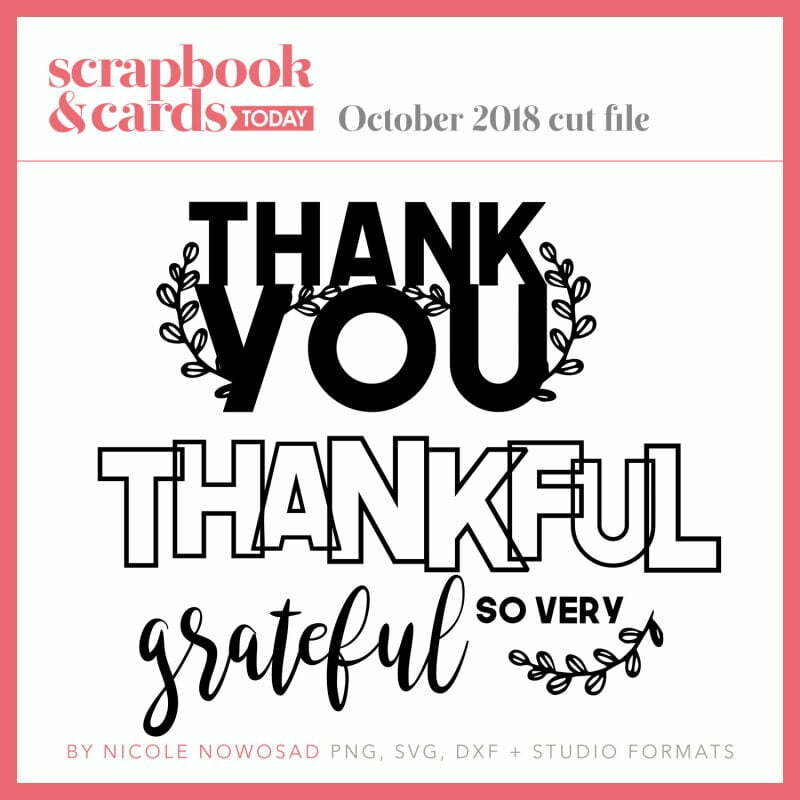 I cut the Thankful title and then backed each letter with various patterned patterns from this collection. Such an easy way to incorporate several patterns of paper in a nice and clean way. To embellish a little further, I added in a bunch of fussy cut flowers from more patterned paper and added them along the one side of my title, adding in a few sequins for a little sparkle! Using foam adhesive I was able to get great dimension on this layout along with some fun layers! Be sure to download this month’s free file (and so many others!) HERE! Please share what you make with it by tagging us on Instagram @sctmagazine or by using the hashtag #sctmagazine! Be sure to visit Nicole’s cut file site, JustNick, by clicking HERE! Your cut files are so beautiful! 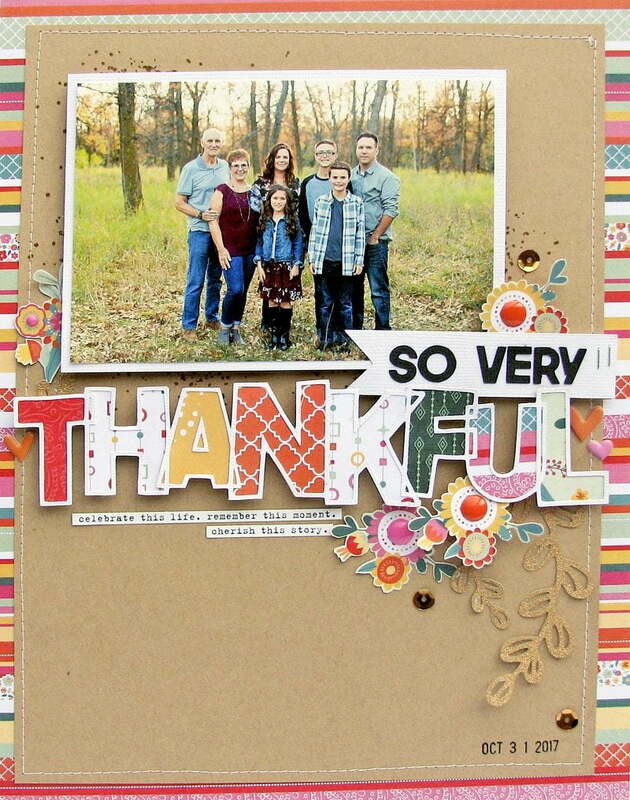 I am “so very thankful” that you share them with us here. Thank you!! Thanks Nicole for another awesome cut file! Can’t wait to use it!